So, I was browsing through my most recent acquisition from #AbramsDinnerParty (where I get free cookbooks) and I ran across a recipe for a green sauce that's supposed to be much like That Green Sauce sold by the HEB food stores. 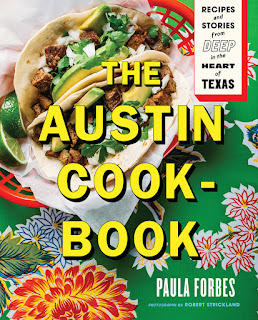 The cookbook is The Austin Cookbook by Paula Forbes. 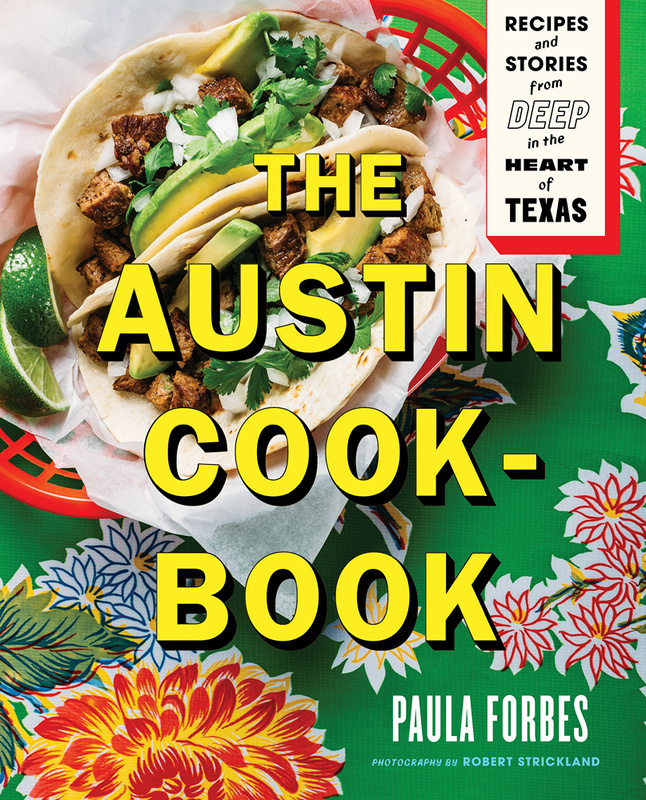 It's all about recipes "from deep in the heart of Texas," so of course I expected a lot of beef, and some Tex-Mex. But when I saw that sauce recipe ... I kind of swooned. You see, a while back, someone sent me a jar of That Green Sauce, and I put it on everything until the jar was empty. And then I kind of whimpered because that sauce isn't available here. Waaaah! So I was pretty excited to see that recipe. And I was stunned to see how easy it is. Apparently this type of sauce is pretty popular around Austin, and the one sold by HEB is just one of many versions of that type of green sauce. But ... the HEB version was the first one of its kind that I tried, so it's the one that I wanted to find a recipe for. Now that I've made it, I have a feeling I'll be making it again. With variations. Many variations. Because now that I know how it's made, I can adjust the heat, add spices or herbs, and just generally mess around with the recipe. I might even order some of That Green Sauce so I can do some taste tests and see how close I can get to the original. And now you can make it, too! Yeah, that's it. Just two ingredients. Puree the salsa in a food processor or blender until it's almost completely smooth, then start slowly drizzling vegetable oil into the salsa while the processor is running. You'll add about one cup of oil for the Salsa Macha Verde, which made just about a pint of salsa. Continue adding the oil until you have a creamy but runny sauce - it should not be as thick as mayonnaise. And it will thicken just a little when you refrigerate it. Not a lot, but a little. And there ya go. The oil makes the sauce creamy, which is why a lot of people think it has avocado in it. Needless to say, the sauce will taste like your salsa, except creamier and perhaps a little milder. Grill, roast, or toast the jalapenos until you have grill marks or they've acquired some black spots (I used a roti grill ). Remove the stems and put the jalapenos in a food processor or blender. Add the garlic, a couple pinches of salt, 1 tablespoon of water, and the lime juice. Process or blend until it's as smooth as you like. Now just carry on to make THE GREEN SAUCE. Note: Since I used my Vitamix blender, the jalapeno seeds were blended to smithereens ... and this also helped to make the sauce rather spicy. If you prefer a less spicy version, remove the seeds - some or all - along with the inside ribs. This will help to make the sauce less spicy. Another recipe that I thought was interesting - and that wasn't at all Tex-Mex - was the mustard and brown sugar crusted steak that was first cooked, then rubbed with a butter and mustard mixture, and then sprinkled with brown sugar, and then broiled to get the sugar caramelized. I've never had a steak quite like it. And then I made another one just like it the next day. I'll just leave this here for you. 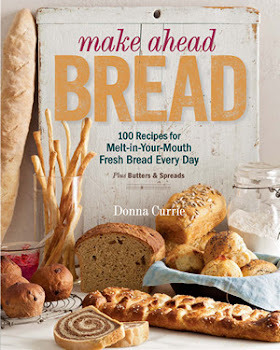 In case my statement at the top wasn't totally clear, I got this cookbook for free from the publisher.